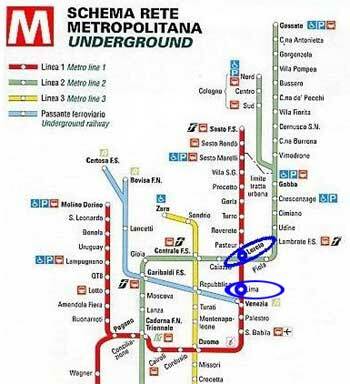 Take a taxi directly to the hotel, or the bus (Shuttle Express) until the Central Station's "City Air Terminal", then take the metro green line towards Cologno Nord / Gessate, until Loreto. Take the exit towards Piazza Argentina and follow Corso Buenos Aires towards the center of Milan, turn left into Via G. Spontini. 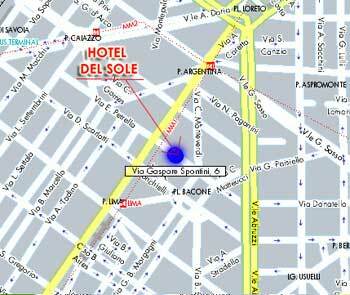 Take a taxi directly to the hotel, or the metro green line towards Cologno Nord / Gessate, until Loreto. Take the exit towards Piazza Argentina and follow Corso Buenos Aires towards the center of Milan, turn left into Via G. Spontini.